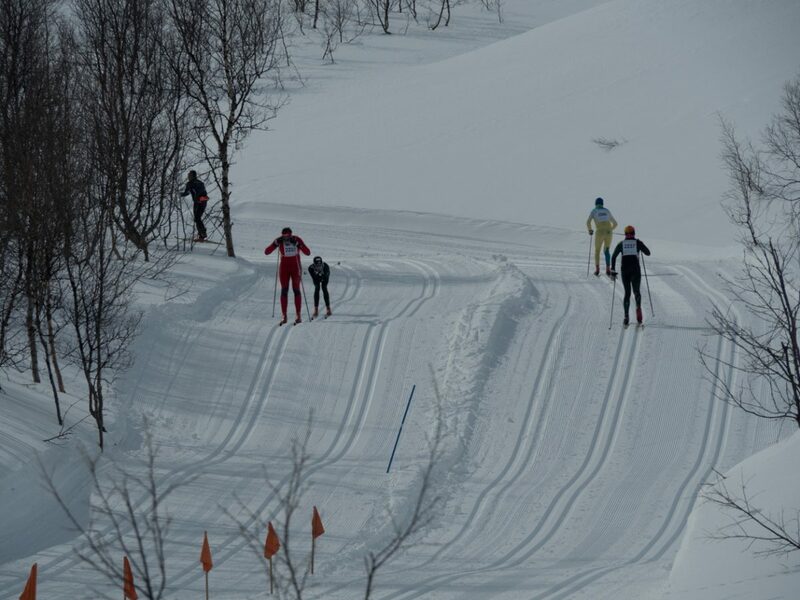 Given the trail profile of Kobberløpet, you should give priority to your double pole technique if you´re planning to beat your personal record on April 6. With the exception of the start from Daja and up to Skihytta, the trail profile of Kobberløpet is rather flat. This will indicate that if you have a better double pole technique this year than you were last year, you will improve at this year’s Kobberløpet. Together with Lena Cecilie Pedersen Osnes, we arrange a technique course at Jakobsbakken 8.-10. February. One of the focus areas here will be to improve your double pole technique in classic cross-country skiing. The basic position, pole-in-set, frequency and poling in different terrain are some of the things you will learn in the course. Here we will, among other things, use video analysis to help you improve. Tip 1: Practice getting active drops on the poles. The whole body should be used to create a pressure that creates progress, this is done by jumping up with the legs and actively falling on the poles – with high frequency. Tip 2: Release the poles at the end of the movement so that you get a good relaxation phase in the arms and upper body towards the next pole-in-set. Tip 3: Make sure you have the correct pole length. If your poles are too long, it is difficult to get enough head-on with the body weight. Start your double pole technique training today and do as the world elite cross-cross-country skiers – go without lubrication in the springs most beautiful skiing adventure in the north!